Authentic and Responsible Leadership | Cleveland Consulting Group, Inc. It is human nature to categorize people as good or bad, responsible or irresponsible, as it provides a way to compare ourselves to others and evaluate actions. As I have observed this disconnect in many clients, it reminds me of the above quote and a recent phrase by Charles Manz, Christina Wassenaar, and Pamela Dillon1 that describes it as Authentic Irresponsibility. It reminds me of the impact that occurred when Barbara Kellerman noted the innate bias of leadership when she wrote the book, Bad Leadership. Utill that time, very little had been written to reveal that there is as much "bad" leadership as there is "good" leadership. This led to the discussion for in-depth assessment of what is bad leadership, instead of the oft used phrase, "I know it when I see it." Authentic leadership suggests that the person is "real," genuine, and sincere. Moreover, behaving authentically can be seen as being true to one's own self, or acting in accordance with one's beliefs and values. Combined, it creates a sense that one can most likely be trusted. 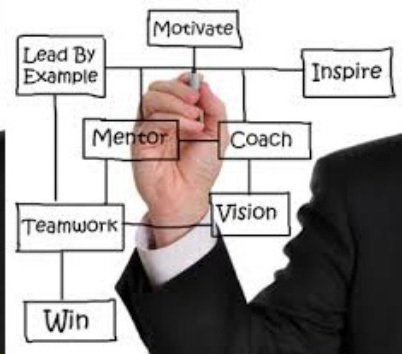 Leaders who take responsible actions can be trusted because they are influenced by a sense of accountability toward others, revealing an "in-service to others" orientation as a central value and a general sense of an implicit responsibility that functions like a social contract across all roles and levels of the organization. Our identity, or who we believe we are or should be, is a strong indicator of our predisposition for certain types of action. Identity has many different aspects which are influenced by our social roles. These role identities are shaped by our experiences, cultural knowledge associated with the role, as well as interacting with others while in this role. Hence, the value of leadership forums at all levels is that they can support new awareness while reinforcing existing perceptions of "what's the role". Unfortunately, many of these reinforcing perceptions are based on lower level leadership roles that no longer pertain to the executive levels and new responsibilities. 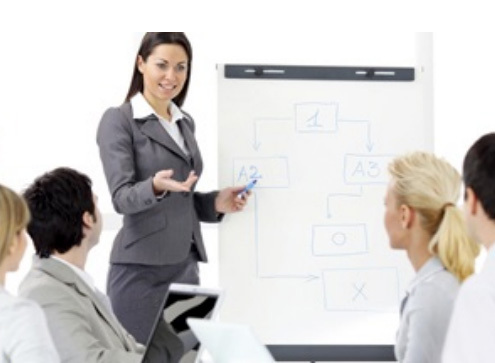 If the person is promoted from within the organization and has remained over an extended period time withing the same organization, the eventual role identity taken on by the leader will match the current characteristics of the organizational environment and its cultural norms, i.e. the unwritten rules of how we succeed. The role identities leaders incorporate into their social identity reflect the expectations, norms and values associated within this context and is often labeled as an organizational identity. For example, early in the tenure of the CEO, a client organization experienced rapid growth (50%+) for three consecutive years. Margins were high enough to ensure more profits than ever experienced. Cash flowed! The number of employees exploded. When sales flattened and capital expenditures drained cash, nothing was done to shift the expense ratios back into balance. It was assumed that the organization would grow out of the problem. Cash flowed out and credit lines were stretched to the limit before it was recognized that a massive expense reduction including a reduction in workforce was needed to pull the organization and the CEO's job back from the brink. An organization's culture, often the unwritten rules of how to be successful or to survive, helps to shape the organizational identity by providing consistent messages related to behavioral expectations. In fact, a great deal of individual and group behaviors can be explained by the norms and expectations that are part of an organization's culture. So often when we talk about leaders and responsibility we neglect to link the unavoidable dependence of individual action and outcome to the interaction between a person's motives, values, expediency, choices and her understanding of customary conduct in the situation. That is, we fail to realize the impact on the individual from the various cultures that have imprinted "what is appropriate behavior." This explains why acceptable behavior differs greatly between different organizations. Some organizational cultures are combative while others are collaborative. This is not by accident or some divine act, rather it is because over time the leadership definition imprints the organization with "how we behave to succeed (or survive)." Underlying this leadership definition, often, is the personal code or belief system of the long standing CEO. 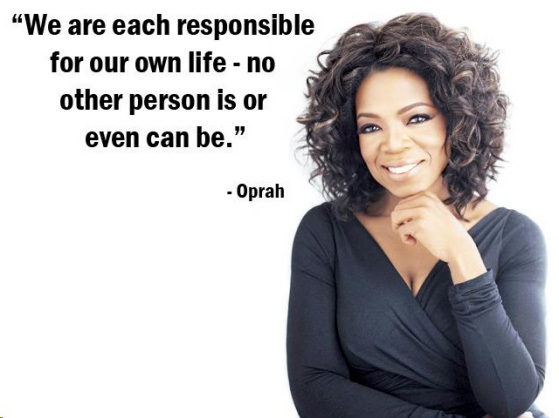 Responsibility reflects an understanding of the interconnected nature of society–—the potential for impacting others positively or negatively by our actions. This contract has a moral component suggesting what is right and what is wrong behavior. Once employees begin to observe the differences between a leader's moral position and daily actions, the potential for authentic irresponsibility develops. This is because each organization, formal or informal, in which an individual creates a personal affinity (sense of belonging), creates an understanding of the proper code of conduct that must be accepted by the individual to survive and succeed. There are some codes of conduct that many people have in common based on laws, culture, citizenship, or religion that might be interpreted as responsible or irresponsible depending on the situation and more importantly on the application of the code. The "Blue" code of police is a classic example of how a self-sealed set of cultural expectations becomes the guiding behavior for all officers and can become perverted when it does not match with the larger social contract to protect and serve all people. Personal ethics, the internalized code of conduct, therefore, is implicit to individual and leadership responsibility. 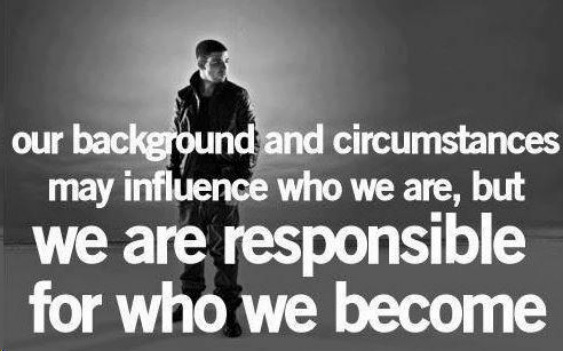 Who we are internally, as an identity, and what we believe matters in whether we are authentic, responsible leaders. Therefore one's moral identity (or how one sees one self as a moral person) contributes to the overall understanding of what it means to be responsible. Moreover, if an individual has not consciously developed an internalized sense of authority, granting permission to fully define who one is and how one will behave within (or not) the various external pressures to conform to generally accepted behavior congruent with the competing culture(s) of family, organization, shareholders demands, and society, then the potential exists for authentic irresponsibility to surface. 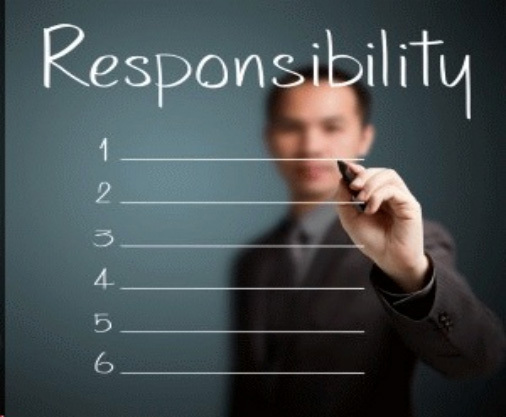 Irresponsibility occurs when people are not true to the values that are part of their social contracts. Their behavior is not consistent with the expectations that are part of this implicit agreement, either at their work or with their own moral code. Confusing this issue is the multiple levels that social contracts imply. For example, social contracts including the role of a being a citizen from the country of origin in global organizations, the purpose and vision (solvency and well being) of the larger organization, the self perceived role of being the CEO (or an officer of the corporation), and as the core beliefs of being a family member. Most people have multiple personal codes within the social contracts that govern different aspects of their lives, making it possible for them to act responsibly in some situations and not in others. The fact is, most of the people who are irresponsible, really don't know what their moral code is, other than it is based on expediency and the path of least resistance and unconscious habits. For example, much of the dispute between work/life balances issues is from not identifying the driving personal code and beliefs concerning family, gender identity to the family, and work. Personally, I inherited a belief that work feeds family, so work takes priority over all else. It took me a failed marriage to realize that my belief had no validity beyond watching my father, who later in life shared with me that he wished he had realized he had had a choice to be home more to be with the family and myself in particular instead of working all the time. There are also those who, while they articulate a high level of personal morality, are, in fact, only half-heartedly controlled by their moral codes. They, habitually, are acting irresponsibly through their demonstrated behaviors and actions. Individual behavior will reflect the standards (behavioral norms and values) of the leadership and ergo the organization's culture even though intentions are miles apart from the impact (intent/impact gap) and creating unintended consequences. It is these wide gaps between intent and impact that has led to the many incidents where the individual is unwittingly supporting personal goals to the exception of the organization. For example, a CEO approaching retirement, maintained a command and control approach to leading an organization for 20 years. The organization was comprised of several smaller subsidiaries. Known for his quarterly raging episodes he shifted the culture. Each quarter, all focus was placed on meeting the numbers and therefore ensuring that bonuses were paid. The intentimpact gap grew over time resulting in multiple unintended consequences. Specifically, when inventory losses occurred at one subsidiary, nothing was done to improve the internal controls and inventory systems because it would increase expenses and impact bonuses. Hence, a recurring inventory adjustment developed that suddenly became a seven (7) figure loss. The CEO was vehement that he had not instructed anyone to hide or not fix the inventory breakdowns; however when shown how his enraged instructions to meet the performance numbers had contributed to the growing intent-impact gap of meet the metrics by cutting cuts, he understood that he had indeed contributed through his lack of clarity toward the long term solvency of the organization through strong standards and controls. 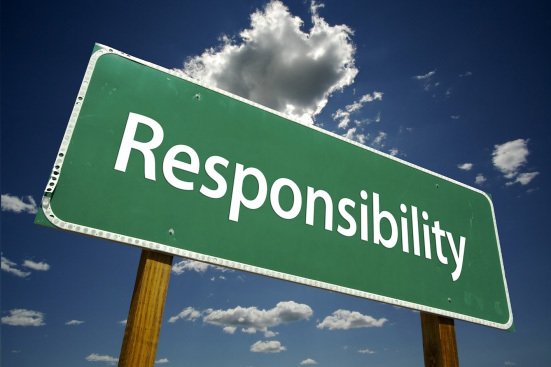 Authentic irresponsibility is possible when being irresponsible becomes a part of the organizational identity. The organizational identity tends to create an unconscious, acceptable way of doing things that seals away the personal identity creating a contradiction in behavior and moreover a completely unintended consequence that reveals the contradiction and now brings the character of the individual into question. Since these cultural codes are usually quite public in their nature within the organization, they tend to become self-perpetuating–—by their very nature they imprint themselves as the general guidelines that define responsibility and irresponsibility without consciously questioning the impact of those guidelines when applied in the greater world. Continuing with the above example, the focus of quarterly metrics and bonus indicators became the ethos of the organization. Clearly, the CEO was not advocating irresponsible actions to insure recurring inventory accounting problems. Nonetheless, he was responsible for ensuring that his directives and actions did not create an intent-impact gap that did result in the recurring losses. He was more focused on quarterly performance, personal bonus, and keeping the shareholders appeased. He had no conceptual understanding of the longer term impact of not budgeting for system updates and adequate internal controls. The ultimate impact was his personal demise. He recognized too little, too late. An equity firm bought 25% of the stock (highly depressed) and proceeded to garner 1/3 of the board seats. Much of the story to get shareholder support included numerous examples of accounting errors that over time had resulted in significant losses each year, including a failed acquisition where poor due diligence led to over paying for the acquisition and a subsequent fire sale and $100M write down. The CEO left without fanfare and not likely much awareness of how authentic irresponsibility had contributed. Digging deeper into the complexity of executive leaders cannot be done without the coach getting clear and then supporting the client surrounding role clarification and behavioral contradiction. Without an in-depth awareness of personal, professional, family, organization, and positional roles and how they interact with congruence or create unconscious and unintended contradictions and consequences, the client may well be authentic and irresponsible when held to the higher standards of meeting the social contract of all roles. A common symptom that authentic irresponsibility could be occurring is when circumstances have changed sufficiently to highlight a negative turn in performance. Look for negative news to surface and what explanation is provided. If the same approach continues to explain what is being done or to justify not changing the course, or for blaming others, look for unspoken contradictions in what is said versus what is being done by the leadership. It will highlight the breakdown between the multiple roles and codes of conduct. Roderick Kramer & Karen Cook, Trust and Distrust in Organizations: Dilemmas & Approaches, D. Harrison McKnight and Norman L. Chervany, Trust and Distrust Definitions: One Bite at a Time in R. Falcone, M. Singh, and Y.-H. Tan (Eds. ): Trust in Cyber-societies, LNAI 2246, pp. 27–54, 2001. c Springer-Verlag Berlin Heidelberg 2001. 1 Craig Pearce and Christopher Peck have joined these authors in other publications that describe authentic irresponsibility. 2 Responsible: 1.) having an obligation to do something, or having control over or care for someone; 2.) being the primary cause of something and so able to be blamed or credited for it. ->(responsible to) reporting to; answerable to. ->morally accountable for one's behavior; 3.) (of a job or position) involving important duties or decisions or control over others; 4.) capable of being trusted. 3 The reader is encouraged to return to the prior two newsletter articles to develop a more indepth understanding of leadership and organization trust.